Low carb, healthy fat snacks are difficult to find, without throwing off your diet. Additionally, trying to buy healthy single bite snacks can become a big chore just reading through all the complicated ingredients, or you pay an overpriced amount to buy them at one of the big health food stores. So, I make my own tasty no-bake, super healthy energy balls. One of the best things about these is you can customize them according to your own taste, generally with ingredients on hand. I swap out the peanut or almond butter for sunflower butter, and use different dried fruits. All you need to do is make sure the consistency will stick together. You can even add in some small chunks of dark chocolate for extra antioxidants. Throw in coconut, your favorite nuts or seeds and BAM! You have a tasty low glycemic, healthy snack. 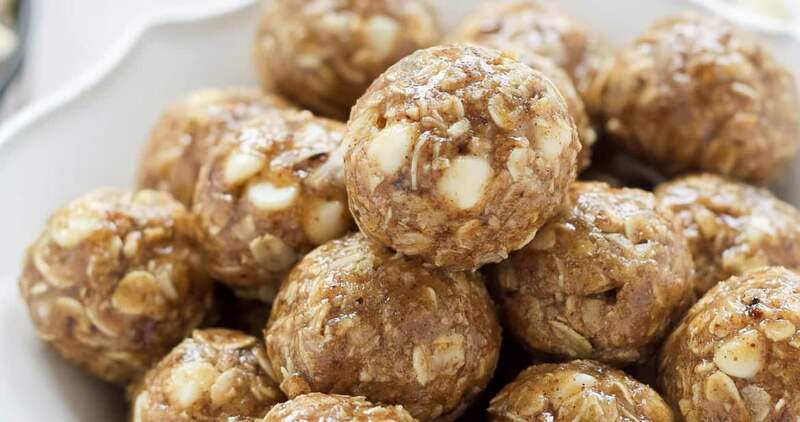 These nutty morsels not only fill you up with healthy super-powered nutrients, but they also are low glycemic and high in fiber, and give you lots of fat-burning energy. Try these before a workout or as a sweet satisfying dessert, or even a high-powered breakfast to go! Every ingredient in these is a virtual superfood bursting with healthy, energizing, fat burning potential. The monounsaturated healthy fats from the nuts are good for your heart, blood vessels, skin, eyes and more. Nuts also contain a substance called ellagic acid which supports the immune system. The protein and fat in nuts fill you up, provide you with an array of healthy fiber that may help lower cholesterol. Nuts also contain arginine and magnesium which helps to relax blood vessels, lowering blood pressure and increasing stamina. And the chia seeds in this recipe are loaded with omega 3 fats, and tons of antioxidants! This recipe is an almost perfect low-glycemic snack for people on a weight loss journey or those struggling with type 2 diabetes, due to its blend of fiber, healthy fats, antioxidants, and a reasonably low amount of carbs that impact blood sugar. 1. Mix all ingredients in bowl or food processor. 2. Press and roll into balls or press into a square pan. 3. Refrigerate for an hour or more. Note: Keep refrigerated or freeze if you plan to eat them over a longer period of time.